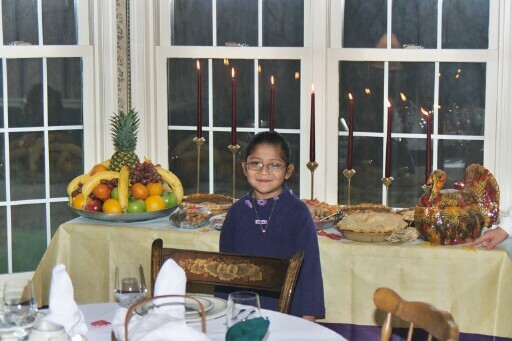 Thanksgiving is only a few short days away and I thought it would be fun to stroll down memory lane of Thanksgivings past. Fun fact; Thanksgiving is actually my favorite holiday. Why? Because of all the food, of course! 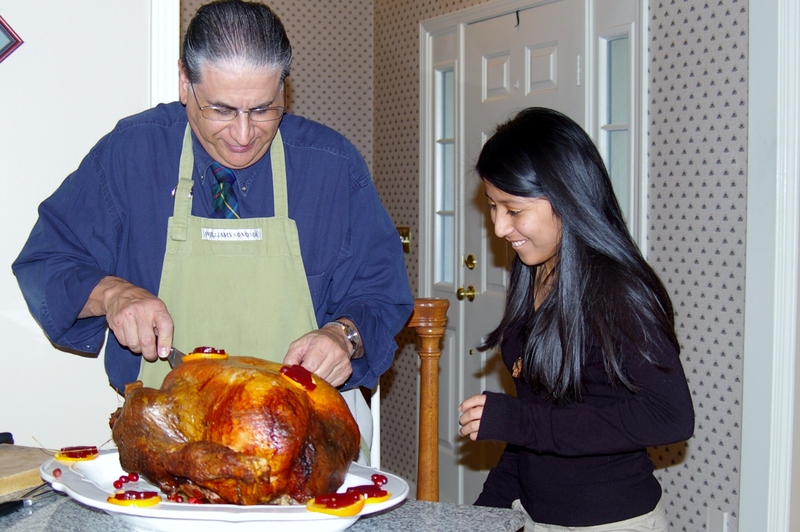 Thanksgiving has almost always been hosted at my parents’ house and although we all pitched in with the cooking the last few years I have been helping out more and more with the cooking and baking of Thanksgiving dinner. Our pie situation has grown exponentially since I’ve become more involved with the planning and preparations. Shocking, I know. 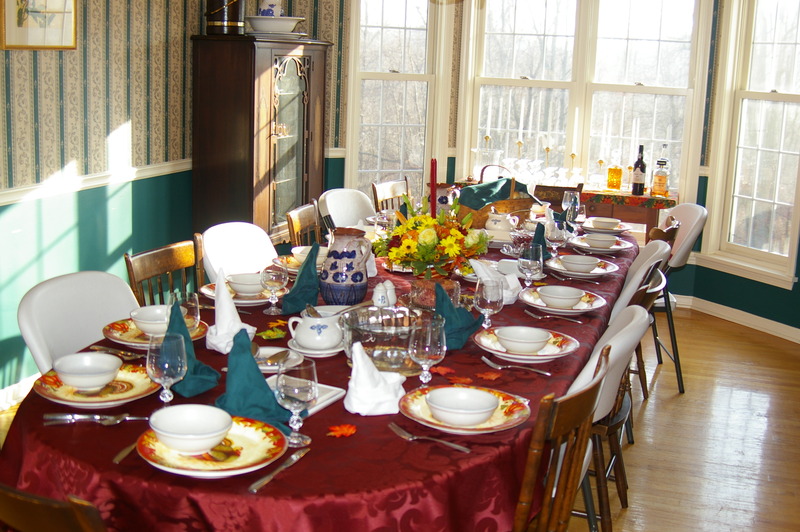 The peaceful calm before the guests arrive and the eating starts. 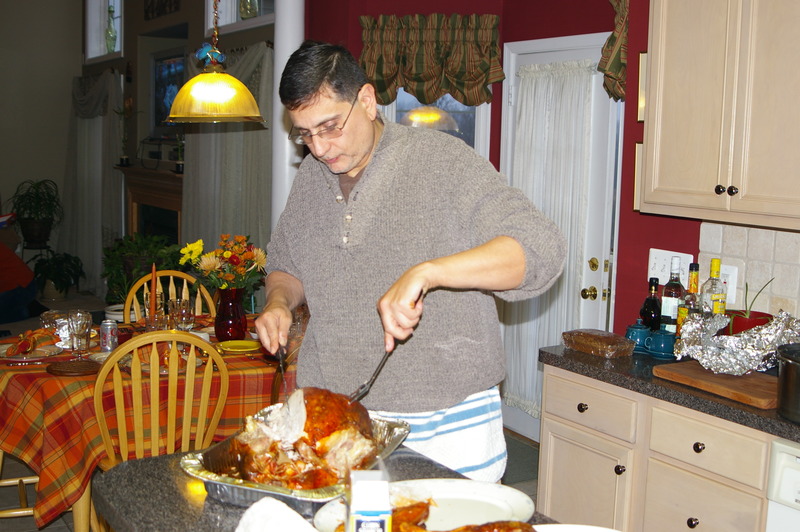 My dad always carves up the turkey. 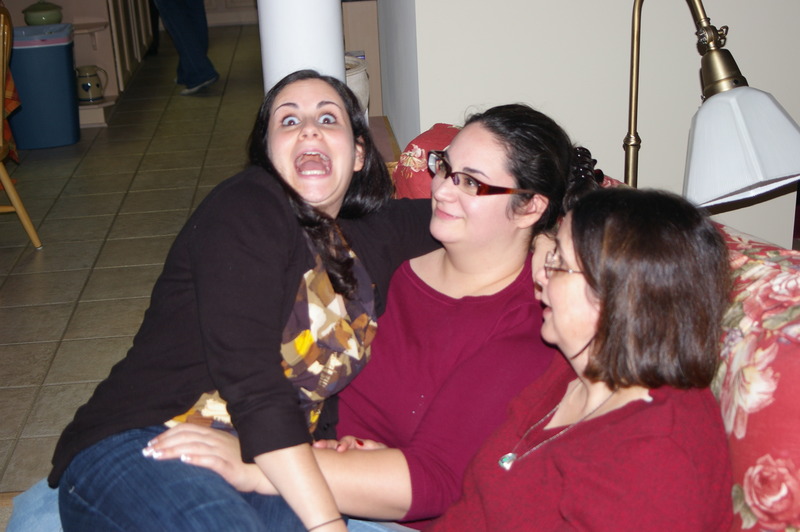 My cousins Gabriel and Audrey and Aunt Diane. I can’t even stand how much Gabriel and Audrey have grown up. I would like to also note that Audrey is taller than me. I know this is shocking to no one in particular since I am in fact a shorty, but I share this because, Audrey is very proud of this. Every time she comes over she gives me a big hug and then steps back to see how tall she is compared to me. 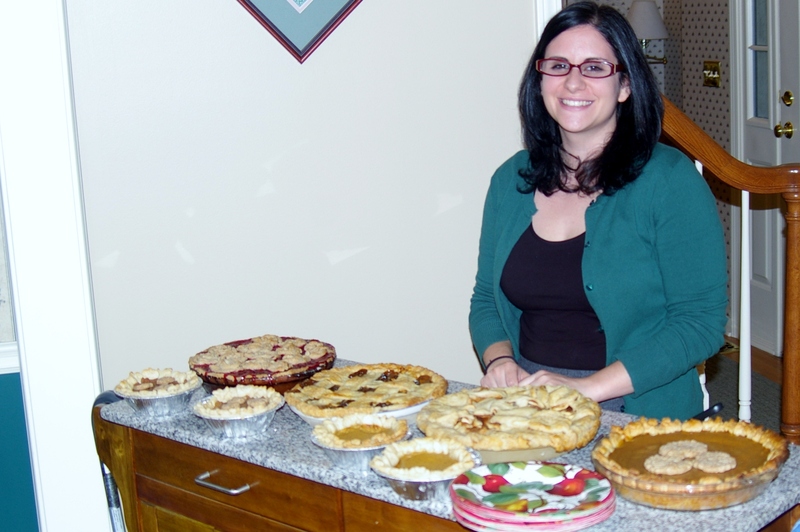 I made four large pies and four mini diabetic-friendly pies. I promptly ate them all. Oh Thanksgiving, I’m so happy you are just a couple of days away. 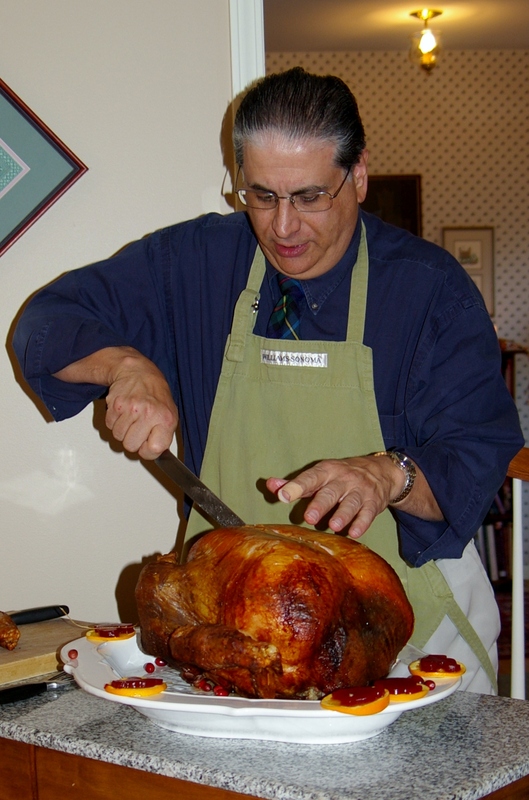 How about Thanksgiving 2009? 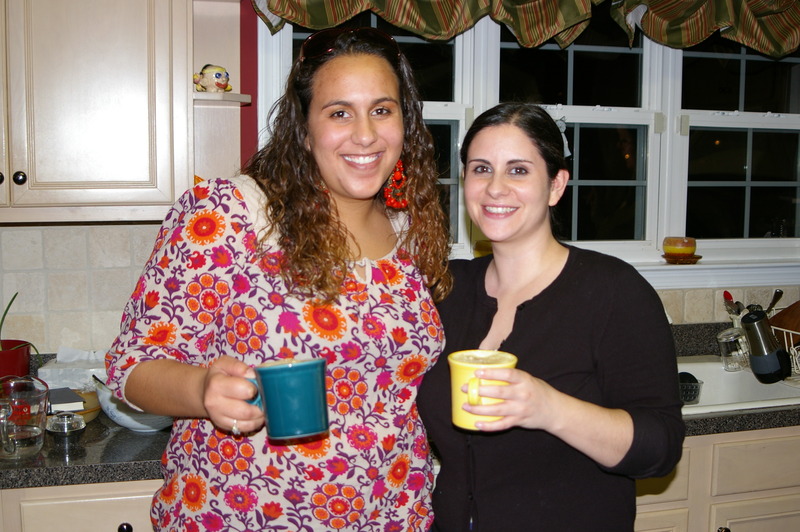 We traveled down to Stafford, Virginia to have Thanksgiving at my Uncle Mike and Aunt Karen’s house. Now there is something you should know about us. 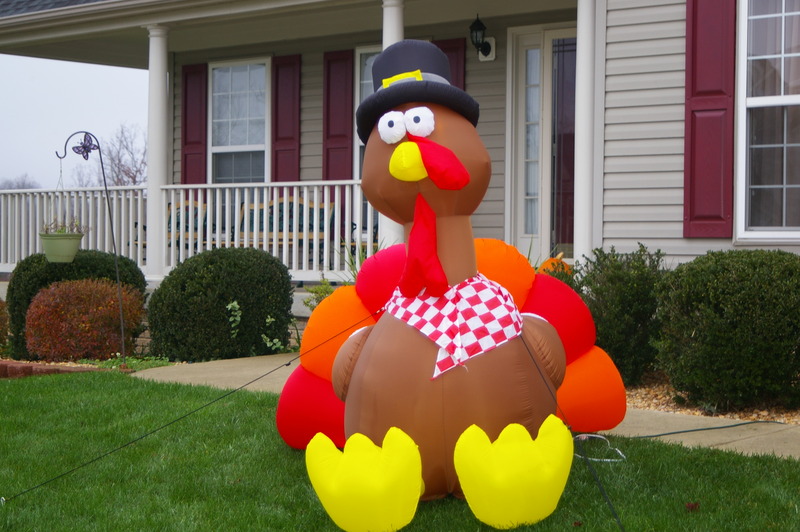 We’re inflatable turkey people. And even when we travel to other relatives’ house, the turkey comes with and is set up in their lawn. 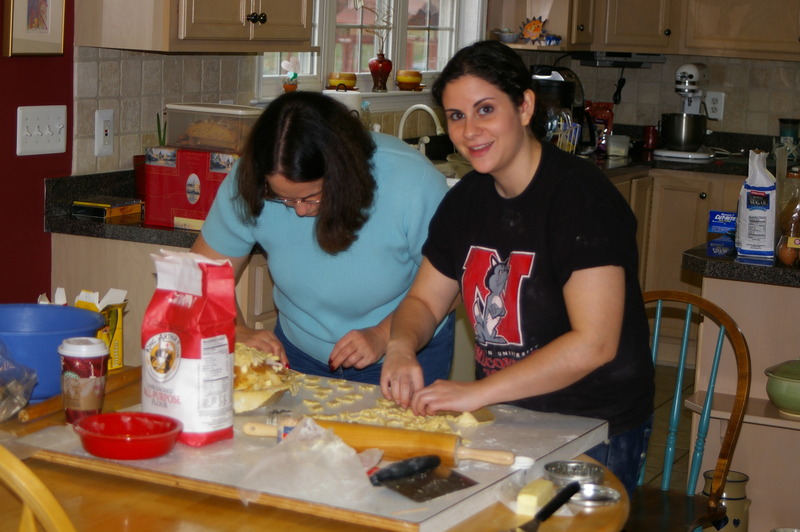 And this is my Mom and I taking over the kitchen to make pies. We’re pretty serious about pie. 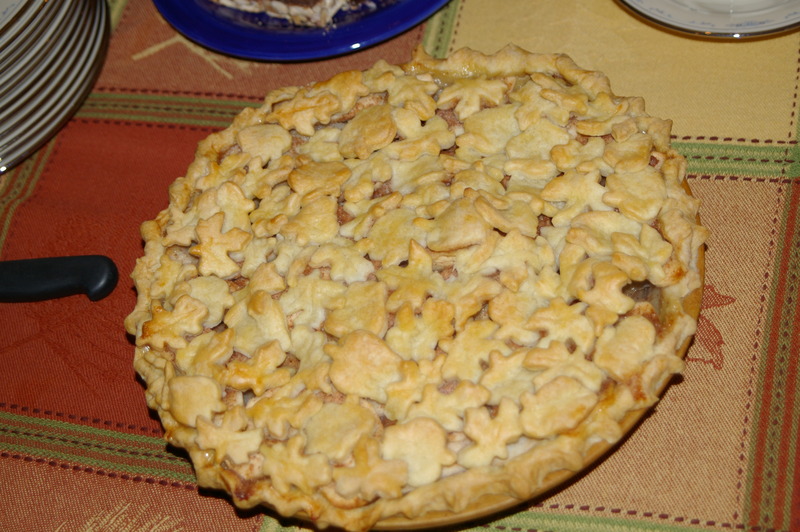 I have to admit this is one of my more photogenic apple pies. Even as a pastry chef, sometimes even my pies look a little abstract. However they always taste awesome and that’s what counts. Need a recipe for some rockin’ pie crust? Try making it with vodka (click here for the recipe). 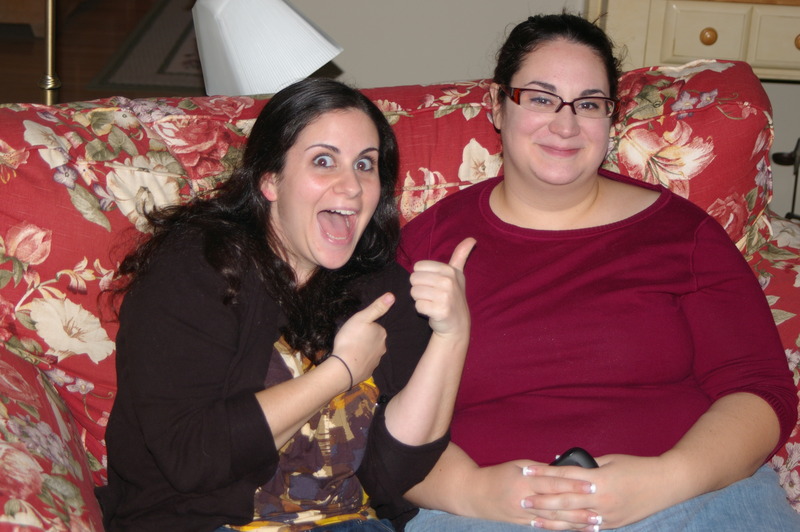 This is me and my cousin Carolyn. I absolutely made her crouch down for this photo, she is at least 3 feet taller than me. “Just kidding, you know I love making goofy faces for the camera!” P.S. Could I look like a bigger creep in this photo? 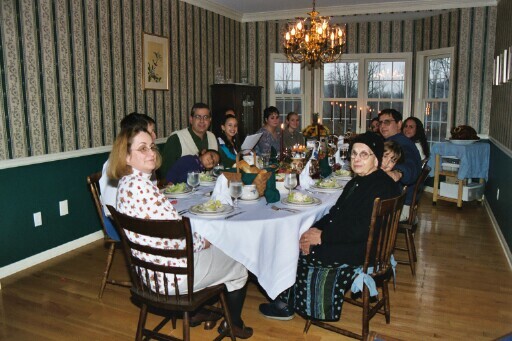 A big group for Thanksgiving 2004 including my Nana. I think about her a lot but even more so during the holiday season. My sister still had her short hair. Oh, wait so did I. Ok, next time I start thinking about short hair, someone please stop me! 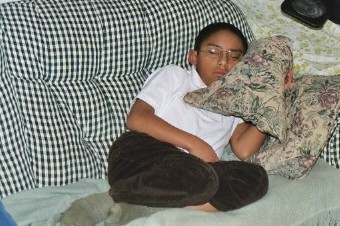 Also this pictures Gabriel who is super grown up now (see Thanksgiving 2011 photos) and going to school at Westpoint. My cousin Carolyn is sitting next to me. She is still at least 3 feet taller than me. 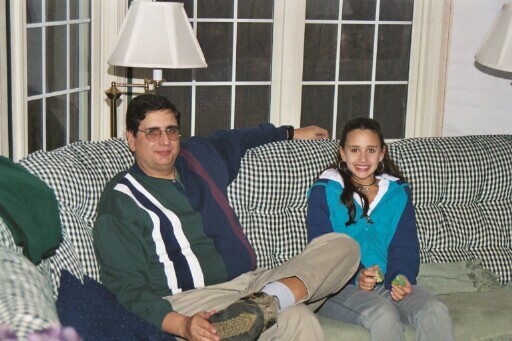 Uncle Mike and my cousin Christina, who is also a grown up now. And at least 5 feet taller than me. Also she is hilarious. 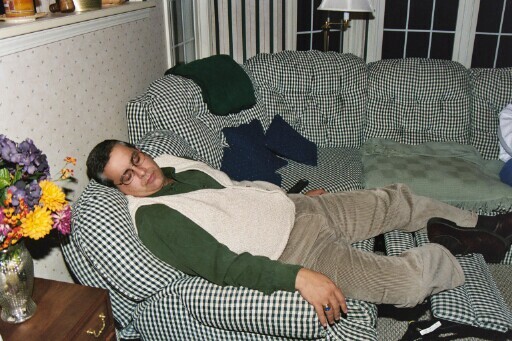 Judging by Uncle Paul and Gabriel’s post-dinner comas, I would say dinner was a great success. Also, how much do you love our old couch? 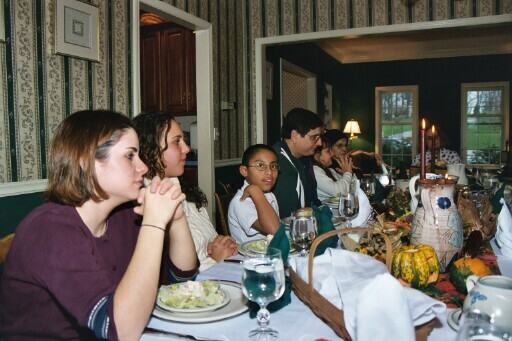 It’s fun to reflect on Thanksgivings past. It always makes me smile to look back at the times shared with both family I get to see every year or only every few years. 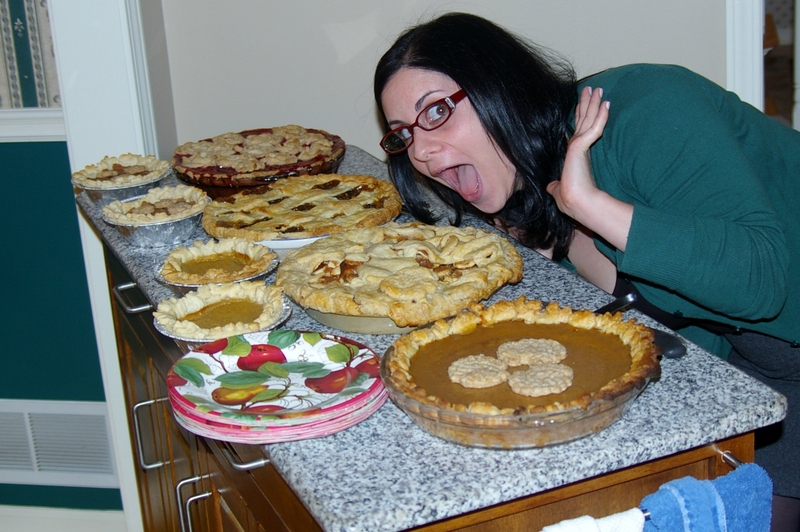 I am looking forward to Thanksgiving this week, and in case you are wondering (I’m sure you’re dying to know) I will be making 5 pies this year. And it was tough to narrow it down to 5. Need some recipe suggestions for Thanksgiving? Or this incredible no-fail pie crust. 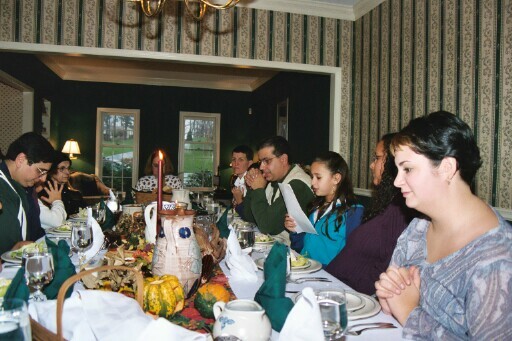 I hope everyone has a great Thanksgiving this week. If you enjoyed this article be sure to subscribe to Reckless in the Kitchen and receive new posts by email!